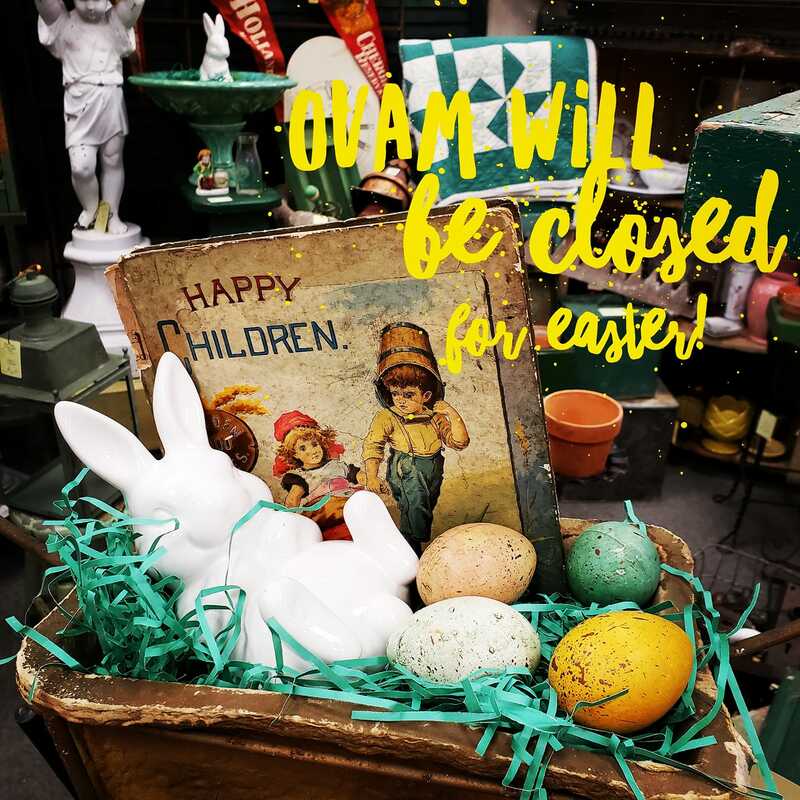 Ohio Valley Antique Mall will be CLOSED for Easter on Sunday, March 27, 2016. We will be OPEN regular 9:00am-9:00pm hours for Friday and Saturday! Ohio Valley Antique Mall will be CLOSED for Easter on April 21, 2019. We are OPEN Regular 9:00am-9:00pm Hours for Friday and Saturday! Entertain your out of town relatives with a Walk Down Memory Lane that’s fun for all ages! STOREWIDE 15% off sale, November 9-11, 201815% off Sale ONE WEEKEND ONLY!